This exceptional, brand new penthouse is located in a 'finca regia' in Barcelona's Eixample Right, next to Passeig de Gràcia and Plaça de Catalunya. 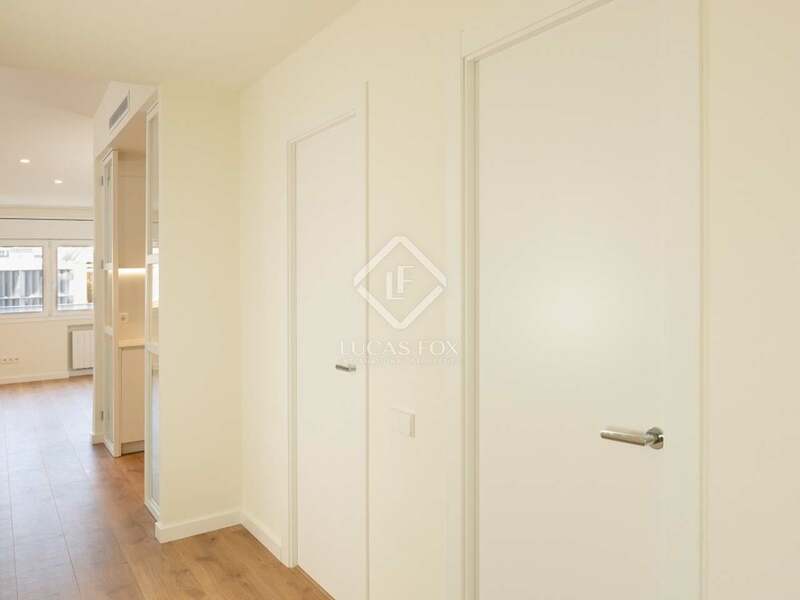 The building has a beautiful wooden door that leads into a grand entrance hall with a marble staircase, typical of the era. 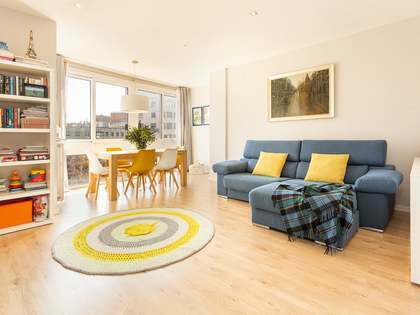 On a high floor and exterior facing, the apartment is very bright. 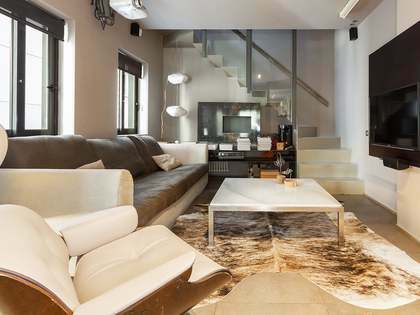 It consists of a living room with windows onto the façade overlooking the street. 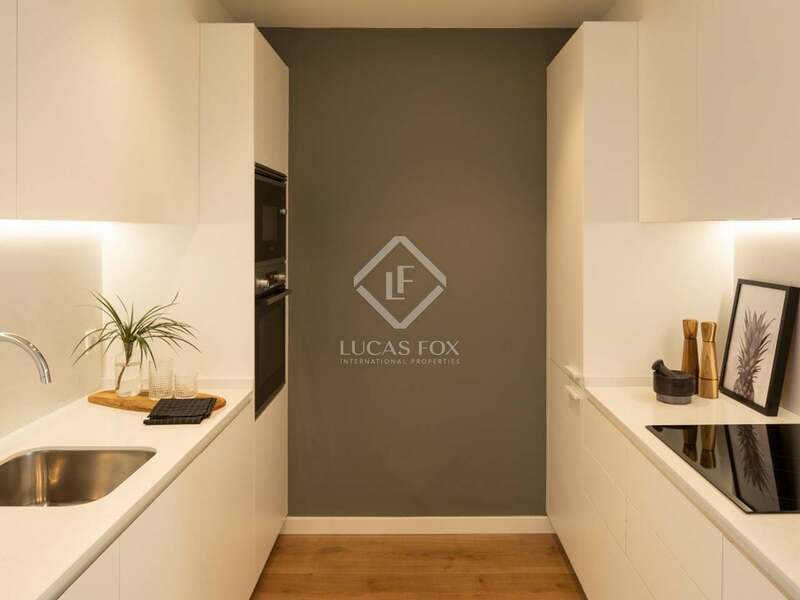 The semi-open kitchen is equipped with top brand appliances. 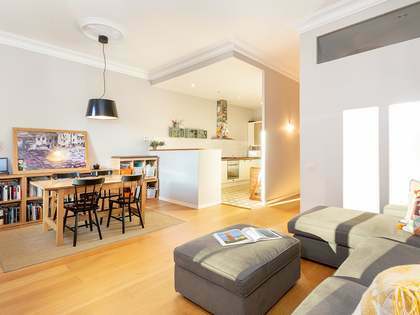 The penthouse has 3 bright bedrooms, 2 of which are double bedrooms including the master with en-suite bathroom. 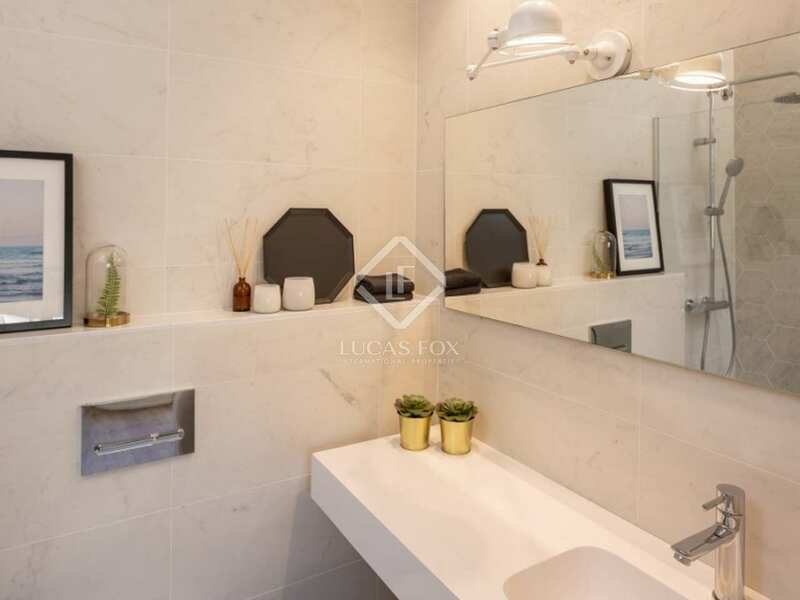 A second bathroom with a utility serves the rest of the apartment. 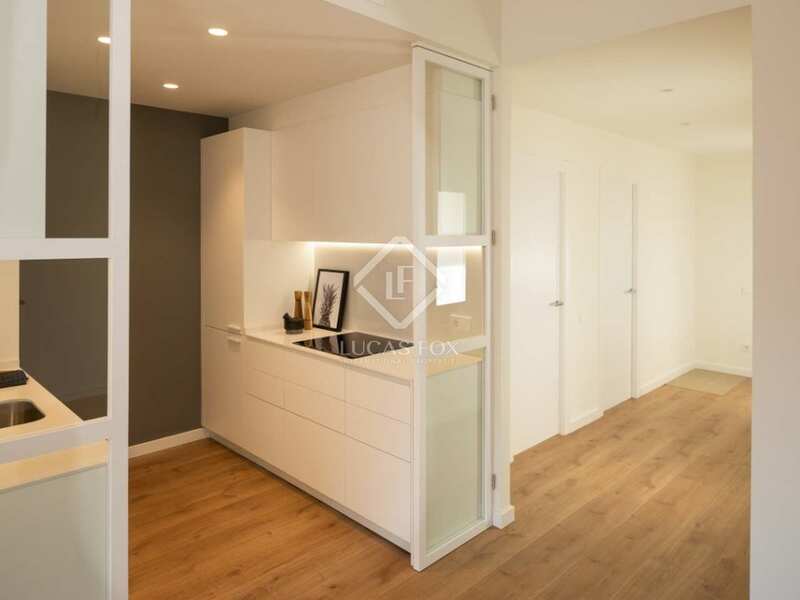 The renovation has been carried out using materials and finishes of the highest quality including parquet flooring, white painted interior carpentry, motorized blinds, and LED lighting, with indirect lights in kitchen and bathrooms. 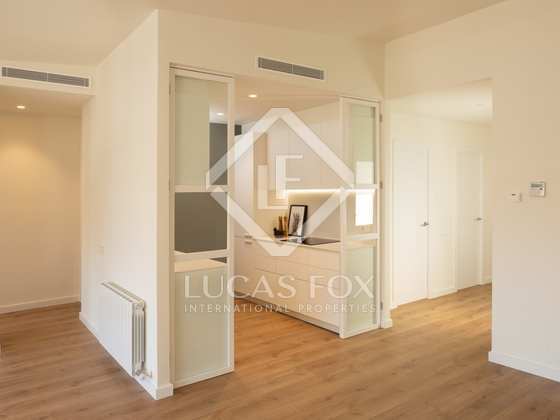 In addition, for maximum comfort throughout the year, there are air conditioning ducts throughout. 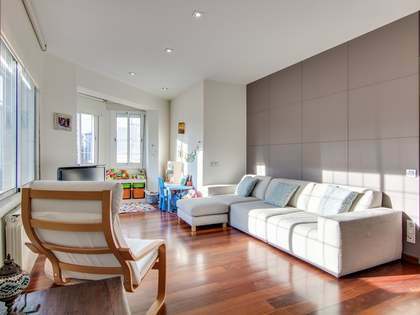 Contact us for more information about this beautiful penthouse for sale in Barcelona. 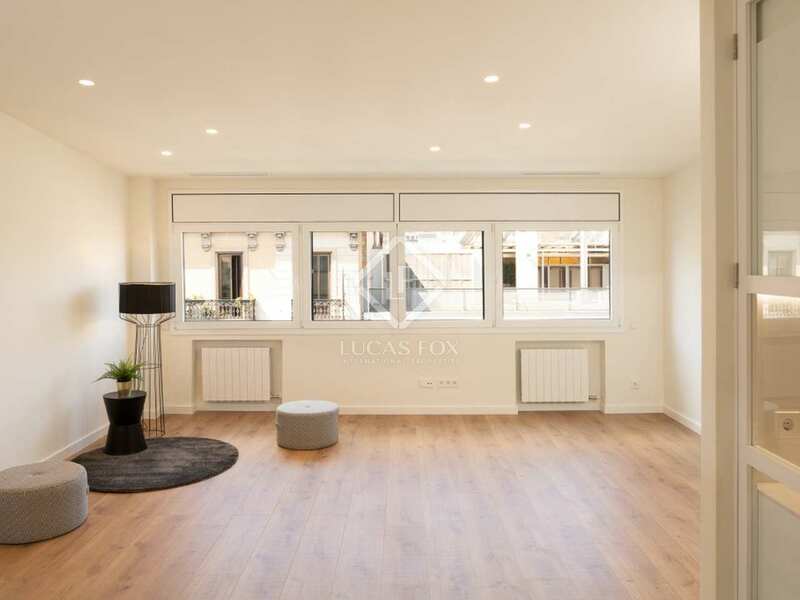 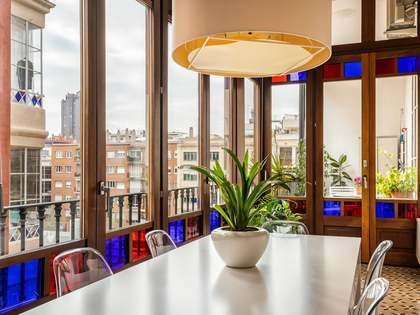 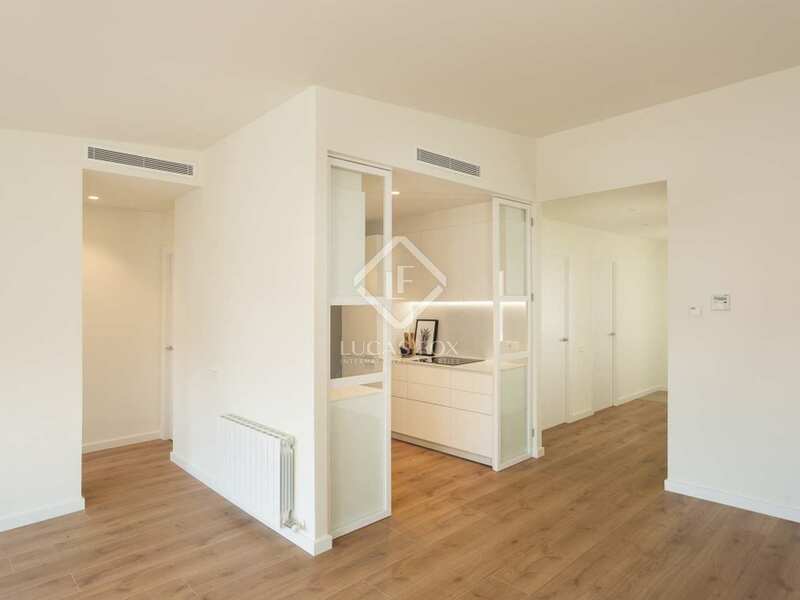 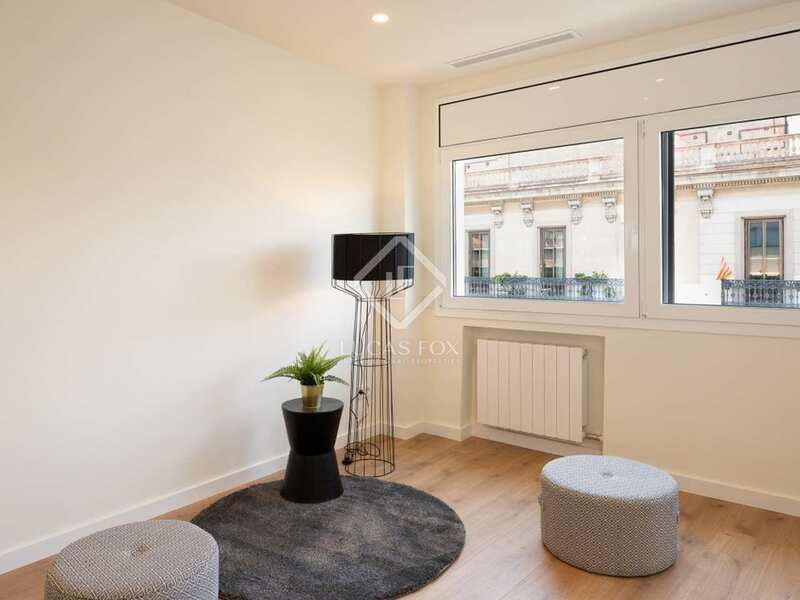 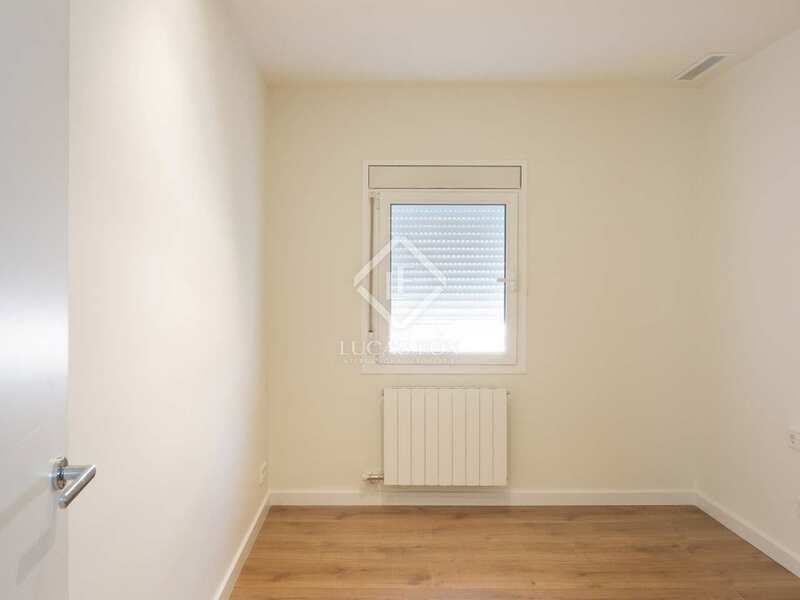 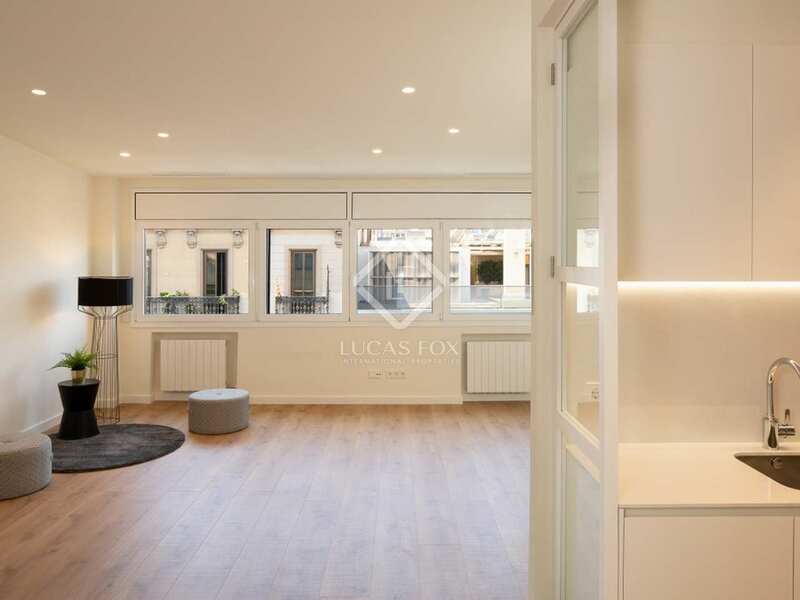 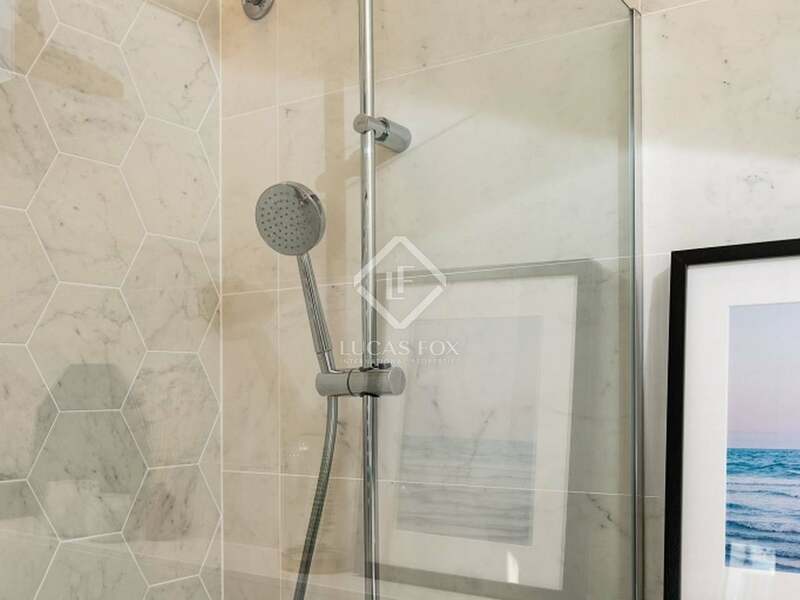 This apartment is located in a modernist building in the coveted Eixample Right of Barcelona, ​​very close to Passeig de Gràcia, Plaça de Catalunya and Gran Via. 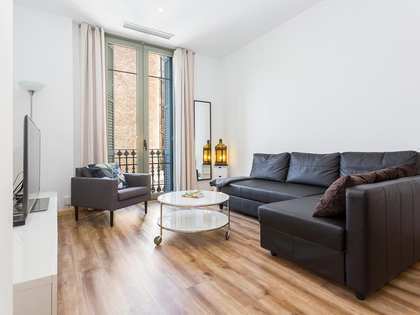 It is in the heart of Barcelona, ​​surrounded by all kinds of public services and transport.